Shakti... Astitva Ke Ehsaas Kii is one of the longest running shows on Colors. It is the first show on Television where the story is based on the life and struggles of a transgender woman. 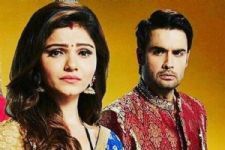 The show stars Rubina Dilaik and Vivian Dsena in lead roles. The cast of Shakti flew down to Singapore for shooting the upcoming track. 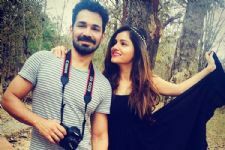 Also, actors Rohit Roy and Mouli Ganguly will be seen sharing the screen with Rubina Dilaik in the coming episodes. The actors posted several pictures from the location. 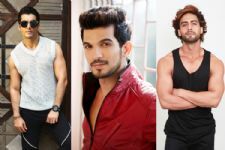 In one of the pictures, Rohit is spotted chilling with Rubina and Abigail Pande where he hinted that the show will see a new track and new looks. In the on-going track, Varun has kidnapped Soham and fled to Singapore. Saumya (Rubina) is restless while Harman tries to console her. She decides to go Singapore and rescue Soham from Varun. Will Saumya bring back Soham from Singapore? What do you think? Let us know your views in the comment section below. Vivian Dsena my hero my hero my life .